Eden's father is revealed to be the one that turned Eden and Isaac in to Gilead's law enforcement, eventually leading to their execution. June goes through Eden's belongings and discovers a Bible that Eden not only read from, but wrote notes in despite the fact that women are forbidden to read in Gilead. 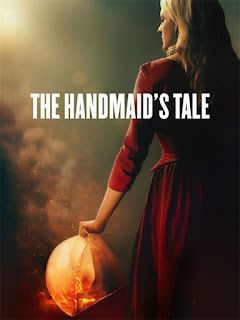 June brings the Bible to Serena and implores her to think of her daughter's future in Gilead, pointing out that she won't be able to be close to God if she can't even read his word. Serena is furious at June for yet again being defiant, but later comes around to the idea. June gets into an altercation with Fred in which he strikes her and she hits him back, after which he yells further insults at her. She ices her face and later enjoys a private moment with Nick and Nicole in which she tells Nick she loves him. Serena rallies other wives to her cause and they prepare an amendment which she proposes to the council that girls be taught to read the Bible, and even reads from the Bible in order to make her point. However, her proposal is rejected and Serena is punished for reading, with one of her fingers being cut off. Emily prepares for her first ritual with her new household but Lawrence ends up dismissing her without going through with it. Aunt Lydia later visits her, saying that Lawrence said that the ceremony went well. It's unclear why he would lie about it but Emily says nothing about it. Aunt Lydia insults Emily, who follows her as she is leaving. Emily stabs her in the back with a kitchen knife and throws her down the stairs, kicking her repeatedly till she gets to the bottom of the stairs. Lawrence's Martha, Cora, discovers them and drags Emily into a room which she locks her in. June is nursing her baby when she notices the house across the street is on fire. Rita comes in and warns her that she and the baby need to get out immediately. Serena catches her while she is making her escape, but after making a long and tearful good-bye, she allows June to escape with the baby. June finds herself reunited with Emily, whom Lawrence dropped off himself at the escape van after discovering what Emily did to Aunt Lydia. When he is asked why he's allowing them to leave, he only says that he is getting himself in trouble. But in a shocking turn of events, June decides to stay in Gilead at the last moment. June is determined to find Hannah and save her, so she gives baby Holly to Emily and tells her to call the baby Nicole in honour of Serena who allowed her to escape. She also tells Emily to tell the baby that she loves her.